The putting up or shutting up time has come, Josh. Photo courtesy of Kelly O'Connor/sittingstill.net and used with permission. Don’t you hate blown saves? I hate them myself. But, honestly, look at Papelbon’s numbers. As someone said to me last night, “Red Sox fans seem mad that he’s not Mariano Rivera while overlooking the fact that NO ONE else is Rivera and their closer is pretty damn good”. The Papelbon hate, in my mind, is misguided and reactionary. It saddens me when members of the Nation start acting like entitled Yankees fans. The Red Sox are in third place in the AL East and have more wins than any other first place team in the AL. You’ll all have to excuse me today if I’m not ready to tar and feather Papelbon and if I don’t lament my team not being “better”. I’m enjoying the heck out of this season. Sometimes it’s more fun to wonder what’s coming next than to know every move. I'll take the split. Let's make it banana. "We Not Me" I love that. How I would love a closer that doesn’t make me want to turn the channel in the ninth and hope for the best. On the other hand, I guess there aren’t that many out there who can pull that off. Sox just lost two games started by Buchholz and Lester and won two games started by Wakefield and Matsuzaka. This, in my book, is good news. Lester and Buchholz will win more than they will lose this season so getting Wake and Daisuke to start games that end with a “W” is huge. I wanted the series win but I’ll take the split and be done with it. I apologize in advance to those who don’t follow basketball but in my giddiness about the Celts win, hearing this quote almost made my heart explode with joy: Five foot nine, 180 pound Nate Robinson jumped on the back of six foot eight, 300 pound “Big Baby” Glen Davis while celebrating last night’s win over the Lakers and said of the pair afterward: “We’re like Shrek and Donkey.” You just know t-shirts are being made in preparation for the next game. Last night Shrek and Donkey and a whole lot of green helped take the sting off of a disappointing loss. I know it doesn’t mean much to Adrian Beltre (he of the 9th inning heroics last night that got erased all too quickly) or any Sox fans out there who aren’t also Celtics fans but I’ll take the sports happiness where I can get it. Onward and upward. Sox back home this weekend to take on the Phillies. I keep reading/hearing about how lucky we are that the Sox don’t meet up against Roy Halladay (he pitched last night), given that the Sox actually hit pretty decently against him, I’m not convinced that’s such a good thing. Tonight we get John Lackey against Jamie Moyer. 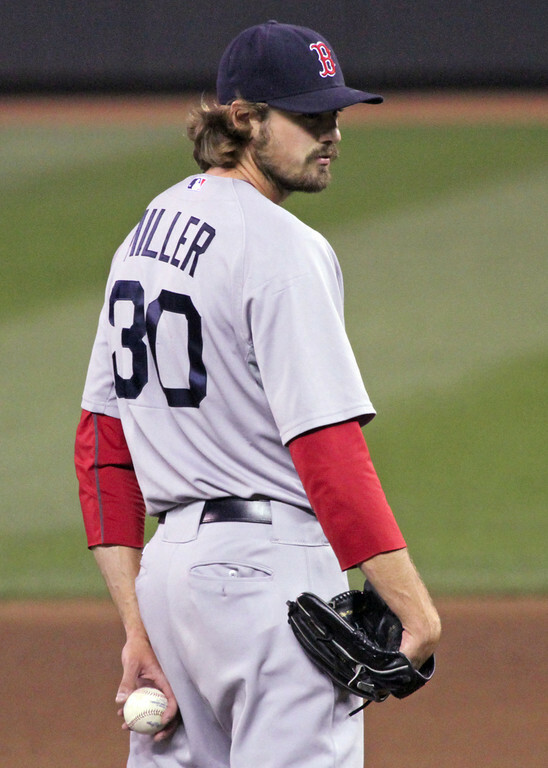 The old guy vs the man who just pitches like an old guy (I kid you, John Lackey, I kid). Mark Wagner knocked in the winning run last night. Photo courtesy of Kelly O'Connor/sittingstill.net and used with permission. One of my pet peeves with sports writers (and bloggers and people who claim to be sports fans and comment on sports blogs and articles) is not getting a player’s name right. Drives me crazy. If it’s your job to cover the sport, you should know how to spell the names of the people you’re covering. There are plenty of media guides out there to help with this but if you’re media guide-less how about GOOGLE? Takes no time at all to find out how to spell a player’s name. I bring this up because I have, on occasion, written criticisms here about not only laziness (such as not finding out the proper spelling of a name) but poor editing on the professional sites. I’m on my own – I’m my own editor. Luckily, you all get right on me whenever I mess up and I appreciate it because, as I think I’ve made clear, nothing drives me crazier in writing than it looking bad. Incorrect spelling, improper use of words (can’t tell you how many times I get an emails saying things like “I don’t think you meant to write “It took four ours to play the game”. For me, most mistakes are really just brain cramps (or a result of writing an entry at 3am!) and I appreciate the editing help. Today I found one such example in someone else’s work and instead of it making me cranky it made me laugh. See, for all my crankiness about these things, last year I did something for at LEAST half the season that I’m not proud of. I kept referring to Daniel Bard as “Josh”. Now last season, Don Orsillo, of all people, admitted on air that didn’t even remember that Josh Bard played for the Red Sox, but I did. 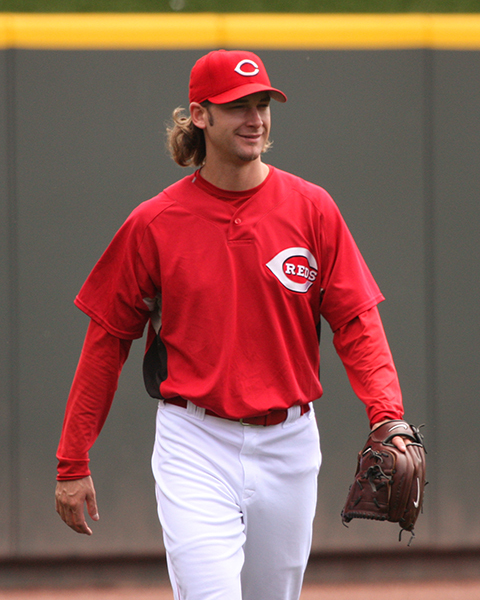 At one time he was Bronson Arroyo’s “personal catcher” on the Reds so when the Sox got him it stuck in my head. For good, seemingly, since I even almost called Daniel Bard “Josh” to his face. Now, I know perfectly well the difference between Josh and Daniel Bard but you get a name stuck in your head and it’s tough to shake it. Which is why it amused me that, in his wrap-up of yesterday’s Sox/Twins game, Ian Browne referred to Denard Span as “Chad Span”. Google Chad Spann if the name doesn’t ring a bell. I’m sure more of you haven’t heard of him than have. Spann spent 6 years in the Red Sox system and never made it to the bigs. I saw him play in Portland once and in Pawtucket once but that isn’t the point. The point is, he hasn’t been in the Red Sox organization since 2008, yet he’s still in Ian Browne’s brain. I know Denard Span is quite a different/better player than Chad but sometimes you can’t help a brain fart. Sox won the first game of the Mayor’s Cup, 2-1, thanks to hits by Dustin Pedroia, Josh Reddick and Mark Wagner. In two innings, Josh Beckett gave up two hits and a run…but let’s not focus on that just yet. First game of Spring Training so he’s allowed. This afternoon, Chad Spann’s buddy Jon Lester will be on the mound to continue the defending of the Cup over at Hammond Stadium. 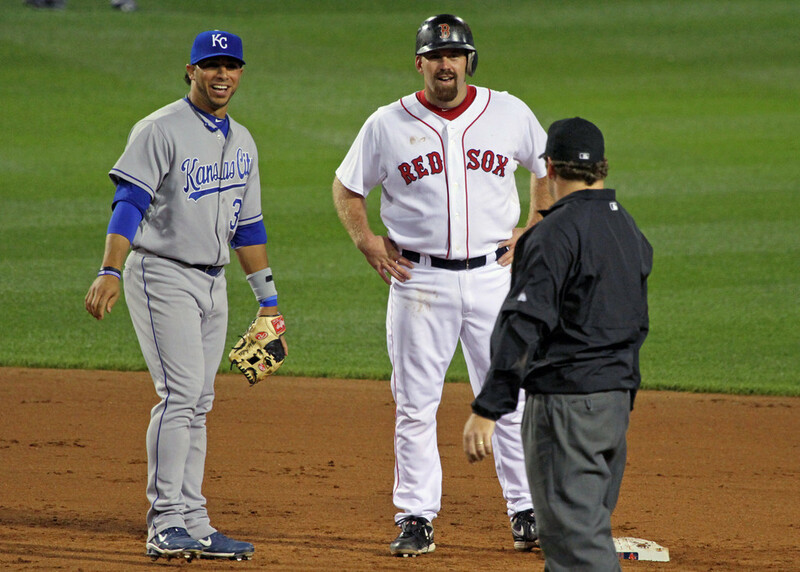 Today will be the first time Tim Wakefield gets into a game “piggybacking” Lester. We’ll also get a chance to see Mike Cameron. Well, wait, “see” isn’t quite right. The game isn’t being televised nor is it on MLB.tv…Gameday Audio is the only way to get this one (and from the looks of the Red Sox site, we only get the Twins feed). It’s March 5, folks. On April 4 we get real, live, televised, baseball. Hang in there!